Looking for ways to keep the kids entertained next week? 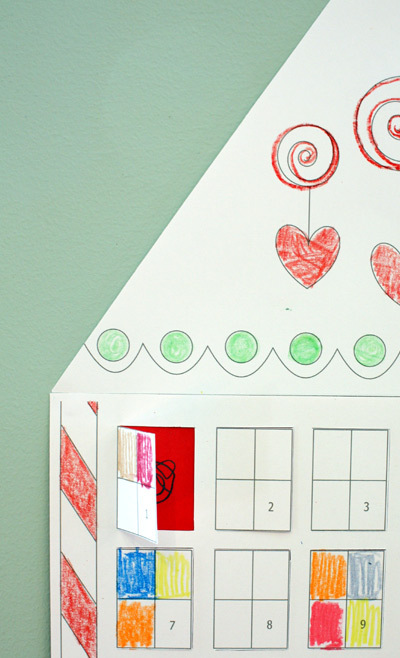 Create a countdown calendar for the holidays. As a child, our family had an advent calendar each December to count down the days until Christmas. You can read more about the history and religious significance of advent calendars here. For this project, I’ve created two printable calendars that you can customize to reflect your family’s own celebration of the holidays. One calendar is a gingerbread house with 24 days to count down until Christmas and the other calendar is a winter village with eight window openings to celebrate the days of Hanukkah. 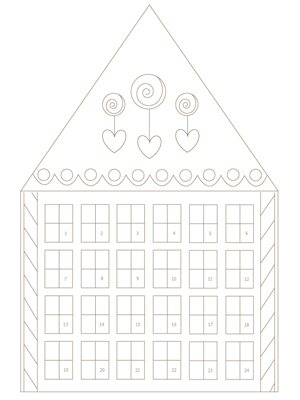 Just print out the calendar pages on card stock, let the kids make drawings for each day and color the front piece, cut out the windows with a craft knife and put it together to create a calendar with windows to be opened each day, revealing a new drawing. Create your own family tradition by sharing simple ways that you can celebrate each day with your family in a special way by writing down a kind deed or an activity for that day. The kids colored this calendar, but I think I’ll also create an activity version with cookie baking, gift-buying for needy families, parties, and craft activities. We’ll have an activity for each day with some that are simple like “give hugs”. Whatever the holidays mean to you, share your traditions and start new ones with your children this season. To get started, click on a calendar image below. I just made this tonight with my 5 year old daughter. She was so excited about how nice it turned out and wants to take it to school for show and tell. She told me that this was the best thing we have ever made together. Thank you! Thanks for this free calendar! My kids will love it. Just one question: where do I put the chocolates?! I really like the idea of the small picture behind each window. My daughters are big into calendars lately, and how fun would it be to create a simple wall calendar like this just for fun? It would also be fun to scrapbook with this idea, putting a small photo of your children taken during that day into each of the little windows. This is TOO cute!!! 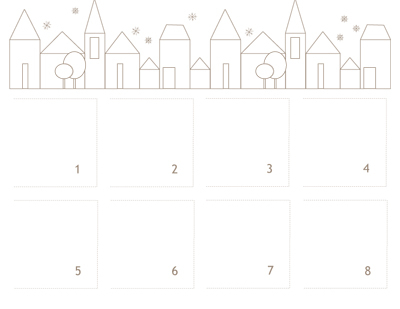 We’ve done the Hanukkah one – having trouble getting the ADvent Calendar to print on one or two pages. Anyone figure out the Page Setup? Do you reduced it down or what? Thanks for the help! Editor: I just downloaded and printed it out without a problem. Will email you the PDFs now and if anyone else is having this problem, please let us know. 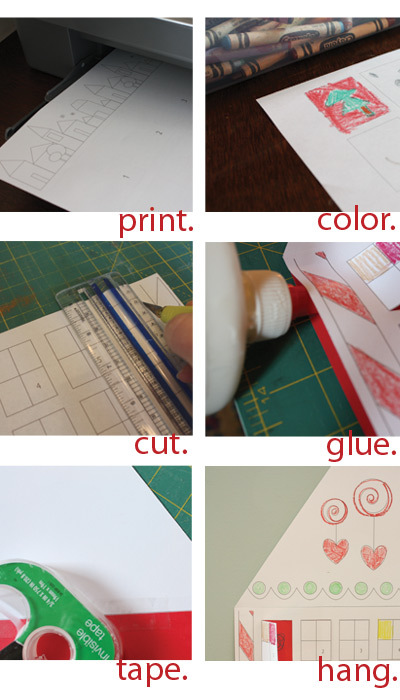 I cited your “Rocket Holiday Poppers” activity as part of my Advent Calendar Countdown…You’ll have to check out the numerous ideas of how to create your own Holiday Traditions Advent Calendar. I thank you, for this remarkable idea! And we will take advantage of your work ))).